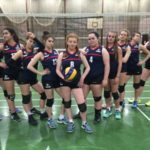 With strong performances against Black Country A and B and Tendring, winning all 3 matches 2-0 Ashcombe have booked their place at the Volleyball England Last 8 Competition on Sunday 12th March 2017. Team: Andrea Tudorache, Amy Antonio, Dasha Zavalova, Meena Adi, Gillian Quinn, Brandi Head, Molly Saunders, Ilona McDonald, Allie Kim and Leah Blight. 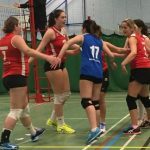 Ashcombe traveled to Portsmouth on Sunday 15th January to play Plymouth VC and took a comfortable win 3-0. Player of the match Hannah Robinson. Well deserved said coach John Biddiscombe. 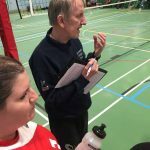 29th April 2017 Doubles & 30th April 2017 Mixed Triples. 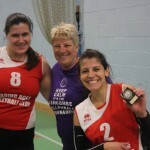 Both at Ashcombe Volleyball Centre. Entries open on 15th February 2017. Doubles £25 – Triples £35 per team.